What’s for dinner? So glad you asked!! Prawns are absolutely one of my favourite foods, and so good in this Summer weather. 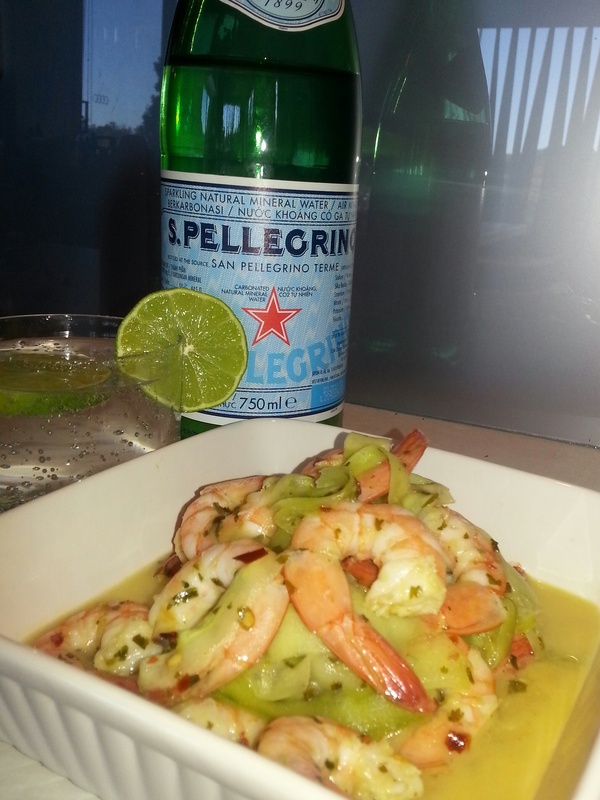 Low in fat, high and protein and ….wait, I don’t care – prawns are just awesome. Try them, I know you want to! In a bowl, combine the lime juice (reserve a little squeeze), half the coriander and the chili flakes. Add the prawns and toss well. Allow to marinate in the fridge for 30 minutes – 2 hours. Using a vegetable peeler, slice the cucumber into ribbons. Heat the coconut oil in a wok until hot. Toss in the marinated prawns and stir regularly until a;most cooked through. Add the cucumber ribbons and remaining coriander and stir well to cook and combine. Serve in a giant bowl with the last flourish of lime juice on top. If you want a bigger meal (and have the calories spare), this is great served on brown rice, with a green salad or with some fresh avocado through it! Sounds and looks amazing! I will definitely be trying this on hot night when the bf is out of the house (he’s allergic to prawns). Thank you! Thanks Dani. It was honestly so good I had to fight the urge to make it again tonight 🙂 And yes, great idea on kicking the bf out first!